OK So I'm going to keep this hush hush for a day or two, but here's some of the gift cards you can get!! For more information you should join my facebook group HERE. 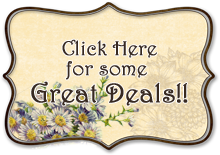 Insanity Deals are Starting Again!!! If you remember last year around this time, nomorerack was having INSANITY DEALS! A lot of people scored REALLY CHEAP Wii systems, XBox Kinects and a bunch of other things. 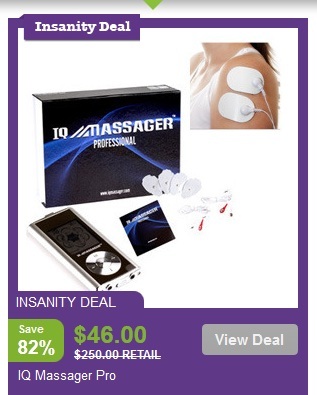 Today, I logged into nomorerack and there is an insanity deal!!! So, what does this mean??? Well, I think it means there's going to be another bunch of Insanity Deals!! When you join nomorerack and make your first purchase, you can get a $10 credit!!! And they have a flat rate of shipping of $2 per item!! With the biggest shopping season upon us, this is a great way to save money!! I log into SneakPeeq daily to see what specials have been added. And I've always been a fan of nail polish and pretty colors. Right now, SneakPeeq has Color Club Nail Polish. YEP...it's getting added to my ever growing collection of nail polish! 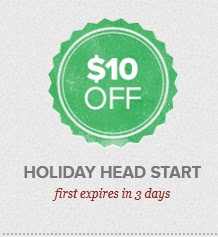 The SneakPeeq price is around $12 for two bottles, BUT, there's also a HOLIDAY HEAD START badge hanging around. I got it earlier today and it's for $10 off any purchase which makes this awesome set only $2 for me!! Now, remember these sales only last a couple of days, and there's always different discount badges hanging around. All you have to do is peeq the different products and you can earn different badges. I've found a free shipping badge and a 15% off badge...I think there was a 25% off badge also, but I let it expire. I enjoy looking around at the different products that are added daily and getting surprised by the different badges. So, head over and tell me what you're able to find! !